Welcome to WGC clubs! There’s something here for almost everyone and if nothing jumps out at you, startup your own club! If you would like to update information or advertise your club (rolling notices etc. ), please get in touch with the Student Communications Committee (dl.student.Communication.committee.2018@wgc.school.nz). 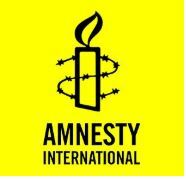 Amnesty is an international organisation that promotes and enforces human rights all over the world! 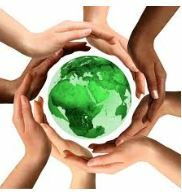 If you get involved with our group you’ll get the opportunity to do awesome charity work (great for your CV) and learn about world issues with a group of equally passionate students. 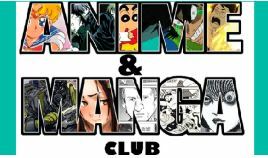 We alternate between watching various anime episodes and doing fun club activities such as creating our own manga, competing in quizzes, and playing fun games! You don’t need to be an anime expert to join! Everyone is welcome. WHEN: We meet every Thursday at lunch! The AV Club runs school assemblies behind the stage! We are responsible for making the microphones/music and projector work during assemblies. It is a really fun way to see how assemblies are run and you get to meet some new people in the process! New to WGC, Barbershop is an auditioned 4-part close harmony chorus that sings unaccompanied vocal songs. Barbershop at WGC is student-led alongside director Kate Sutherland. They take part in the Barbershop National Convention every year and occasionally perform at our school assemblies. WHEN: Wednesday before school 8 am/8:30 am to 9:30 am. Extra rehearsals are sorted within the chorus. At Book Club we discuss books, book adaptations, comics. Pretty much anything you can read and sometimes things that you can’t. We generally watch a movie every term. Anyone who enjoys books and reading should come along. WHEN: Every second Wednesday lunchtime – starting 13th of February. “2019 Chinese Club” is a club providing extension and interest for students who would like to learn more about the language and culture. 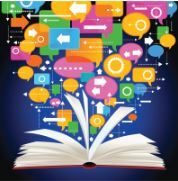 Learning a language is not only about the foreign vocabulary, it is an immersion into a new and richly diverse culture. There are a range of culturally interactive activities for instance, Chinese paper cutting, quiz, kahoots, Chinese food, festivals celebration, current popular TV shows, historical films, dancing, singing, Chinese hacky-sack as well as Chinese study tutor sessions etc. 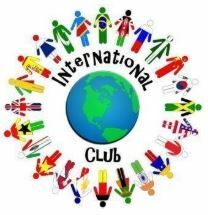 The club will meet on Friday fortnightly at lunchtime in B34 (Chinese classroom) and we welcome all from years 9 – 13 students who are learning Mandarin at school and your friends as well. – From Ms. Wang. 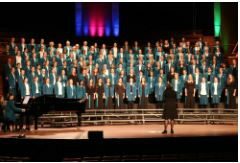 Combined Choir is for students who want to experience singing in a 4 part mixed voice choir with students from both Wellington Girl’s’ and Wellington College. To get into the Combined Choir, you must audition. WHEN: Thursdays 4.15 – 5.45pm. Beginning date tba but may be February 14th in the Brierley Theatre at Wellington College. 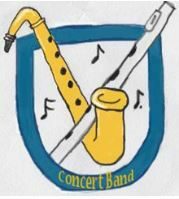 Concert Band is open to woodwind, brass, percussion, keyboard, guitar and bass players, Grade 2 or above. We play a wide range of music, including jazz, classical, movie themes, pop, and rock music. We combine with Wellington College for most rehearsals and performances, which this year include The Wellington Band & Orchestra Festival in August, and The Musical Soirée in September. Dance collective (WGCDC) is a club for all comers and any level of dance experience, we run workshops every Friday lunch where we have many different choreographers in year 12 and 13 who teach some fun dances and run technique and tricks as well! There is no pressure to turn up every week as we will always be doing something different! 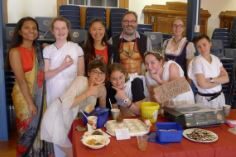 Our club runs Sheilah Winn, an inter school Shakespeare performance competition, as well has helps teach and refine drama skills for students of all ages. 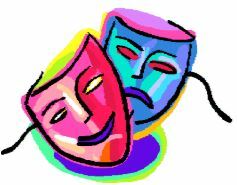 Elsa and Holly, (the leaders) are really excited to run Drama club for 2019, so make sure to come around for drama games, performances, laughs, and much much more! If you have a passion for performance this is the club for you! 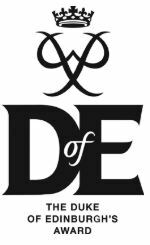 Duke of Edinburgh is an internationally recognised award programme which recognises students for taking part in a variety of extracurricular activities- sporting, cultural and voluntary. There are 3 levels, Bronze (age 14+), Silver (age 15+), and Gold (age 16+). At each level, participants must undertake physical recreation, skills, and service, as well as an ‘adventurous journey’- an outdoor trip completed over a few days (e.g. tramping or kayaking). 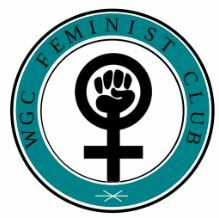 WGC Feminist Club believe that all people should be treated equally and given equal opportunities regardless of their identity, and we want to bring together people who believe so too – if you share this belief or would like to learn more about it, come along to Feminist Club! 2019 will be a lot of fun – even if you don’t label yourself a feminist there will be something for you! Are you passionate about social justice? Do you want the chance to have your voice heard? We are a group of WGC students who discuss feminist issues both close to home and further abroad, every Thursday from 4-5 on Wellington Access Radio 106.1FM. If you are a year 10 or above and this sounds like something that would interest you, get in touch with Gabriela! Interested in wellness and all things good for you? 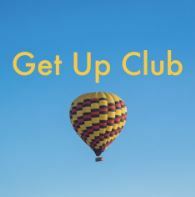 Then come along to Get Up Club! Each week a group of like-minded students come together to discuss their goals, and strategies for achieving their dreams. Come along! WGC’s Christian Group! Feel free to come along, Christian or not everyone is welcome. Free food, Friends, activities and weekly videos. Interact is a volunteer group that offers opportunities to Year 11,12 and 13 to get involved with the community, gain leadership skills and get to know students at our brother school Wellington College. 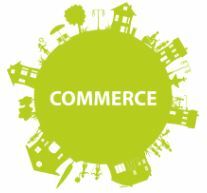 We work with many different organisations so there is sure to be something you are interested in. We also run our own events both as fundraisers and to have some fun! A group of students who enjoy some quiet time knitting, learning to knit, or teaching others to knit. You can either bring your own project along, or contribute a few squares to our blanket. 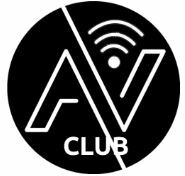 For anyone who wants a chill club where you can learn something new and have some fun. We look at all things related to the ancient civilisations of the Greeks and Romans and do fun activities varying from colouring-in to quizzes where you can win prizes. You don’t have to take Latin or classics to take part everyone is welcome. Orchestra is for players of string, woodwind, brass and percussion instruments. No audition is needed, but the WGC Orchestra is not suitable for complete beginners. However, we can certain adapt parts to simplify them if necessary. Orchestra is also made up of students from Wellington Girls’ College and Wellington College. Running club is held on Monday lunchtimes every week (rain permitting) where anyone from any year and any running ability can come and go for a lunchtime run with the group. We all run at different paces and there are times to relax or work harder depending what you want to do. We vary between a few routes close to school including the waterfront and the botanical gardens. Come join a fun and supportive environment to keep your fitness up as well as heading out to check out the Wellington scenery. Do you write songs? Do you want to? Come along to the Songwriting Club to learn the tips and tricks of the trade, share your work with others, and write some great songs. All welcome, from beginners to budding professionals. Spectrum is an all inclusive club for LGBTQ+ students and allies to be supported and to learn about themselves and the world around them. No matter who you are or how you identify, you are welcome at Spectrum! We meet every Friday in the Mez above the gym. Students Against Dangerous Driving is all about spreading awareness on how youth can become safer drivers and avoid the consequences of driving dangerously. We aim to do small but effective actions around the school to promote SADD and give the students of WGC resources to be the best and safest drivers. We make it fun to make a difference and everyone and all ideas are welcome. If you are interested in joining a chill and fun club that helps make our NZ roads safer then flick an email to the leader! 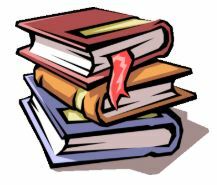 Study Centre is an after-school club run by the Student Learning committee every week, where you can come and get help with any of of your subjects from people who have previously taken the subject. It is a great opportunity to get some extra help with your work, especially if you are struggling in a particular class, and also a great opportunity to meet new people. You can attend as many or as few sessions as you want to, and there is food available every week! Hope to see you there! TealTV is WGC’s film club, it’s a great way to get involved in many different parts of the school. We film and edit all of the school’s main events. Learn how to use a camera and Premiere Pro – no experience required. Ukulele club is open to everyone! 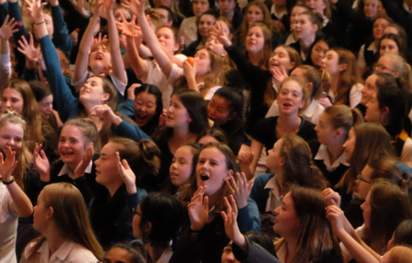 It is a great way to become involved with the musical and cultural life at school and it’s heaps of fun. You don’t have to know how to play the ukulele, or be good at singing, you just need to be enthusiastic. There will be a lot of performance chances, and you’ll be able to meet new people from Wellington Girls’ and Wellington College. In Kpop club, we do everything related to kpop (and korean culture) such as kpop dancing, singing, performances, DIYS, Language learning, some fun games and challenges (with prizes!) There is also food! If you’re multi fandom or even if you only like one group, like dancing and singing, are keen to learn another culture, and a lot more – you will love this club!! 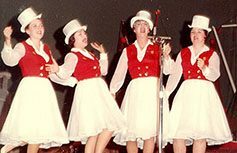 WGCSC is the Wellington Girls’ College Singing Collective. We sing lots of songs in a mixture of genres. It is a good option if you enjoy singing in a group and want to meet some new people. Your singing skills will slowly improve although, you will not be made to do anything you are uncomfortable doing. We mainly work towards assembly performances and our end of year showcase. No prior singing experience or musical knowledge is needed, and we are welcome to all! Be the first to join a great friendly team sport! Everyone is welcome, from all possible skill set as well. The team is completely student run and is the first ever softball team. We have a place just for you :).